The IP address means Internet Protocol address. It is a numerical label that used to identify your local network devices. When your computer connects an Ethernet network then it has an IP address then tells then network where to find that PC. If you want to find IP address in Windows 7 then you can do it easily. 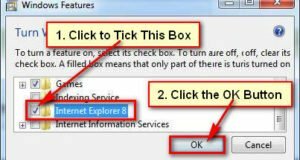 So let’s start with us, how to check IP address on Windows 7 easily. 1.3 How do I Find the IP Address of My Computer? 1. Open a web browser like Google Chrome or Mozilla Firefox. Click and type into web address bar google.com and press Enter button from keyboard. 2. Click the Google search box and type IP address and click the search icon to find IP address on Windows 7. After that, you will see your public IP address. 1. Click the Windows 7 start button. Type into the search bar cmd and press Enter button from the keyboard to open the command prompt. 2. The cmd dialog box will open with your Windows 7 username. Type the ipconfig in front of your name and press the Enter button to check IP address using CMD on Windows 7. You will see your IP address on cmd dialog box. 1. 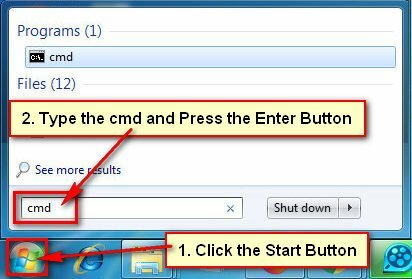 Click the Windows 7 start menu and select Control Panel to open control panel. 2. Click in front of View by arrow icon and select Large icons. Click up to the Network and Sharing Center text. 3. Select the Change adapter settings text from left. 4. You may view various network connection list. Click the mouse-right button up to active connection and select status from the list. 5. Internet status dialog box will open. Click the Details button to see IP address on your computer. You will see a new page with IP address. 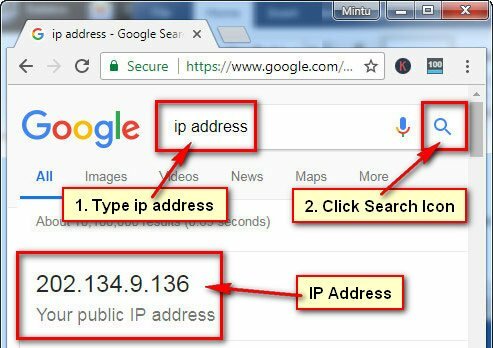 Using this way, you can find your IP address on your computer. 1. 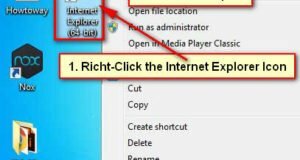 Click the mouse-right button up to the computer icon on your Windows 7 taskbar and select Open Network and Sharing Center. 2. The left sight of the network and sharing center window, you will see the Change adapter settings tab, click up this tab to open it. 3. Right-click up to active network connection and select Status to see the status. 4. From the wireless network connection window, select the Details tab to find IP address in Windows 7. 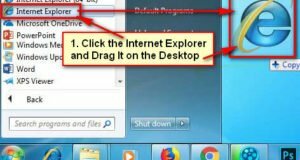 Follow upper any method to find your IP address on Windows 7.